Kindle loves this project because... Sins Invalid has created a platform for artists who have been traditionally marginalized from the creative world. 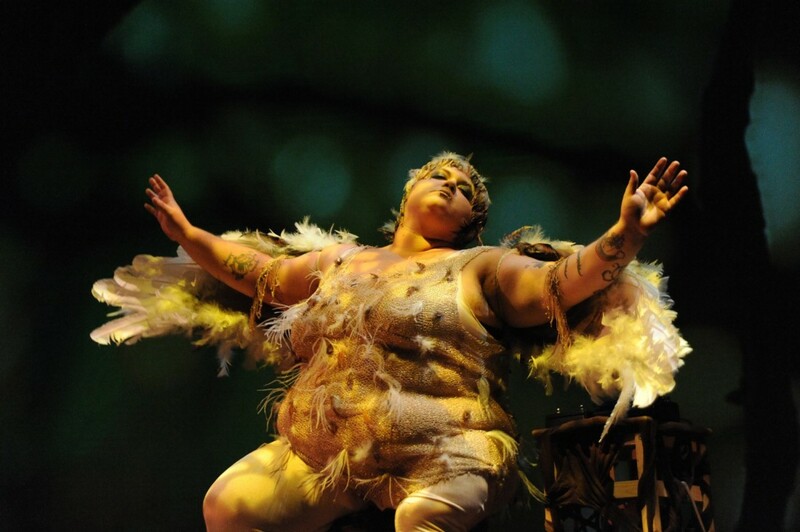 Their stunning performances explore disability and sexuality. 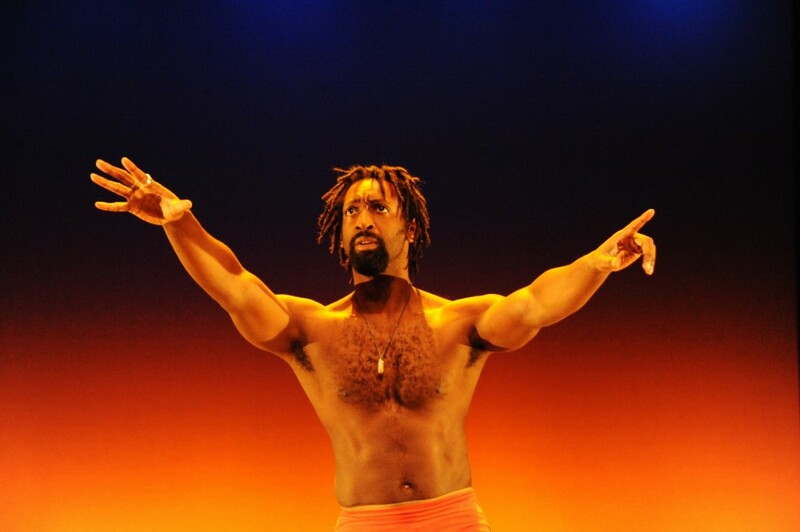 Sins Invalid asks their audiences to widen their perspectives of beauty and to experience the broad range of human experience outside of our culturally "normal" paradigms. Their works is revolutionary and absolutely necessary. 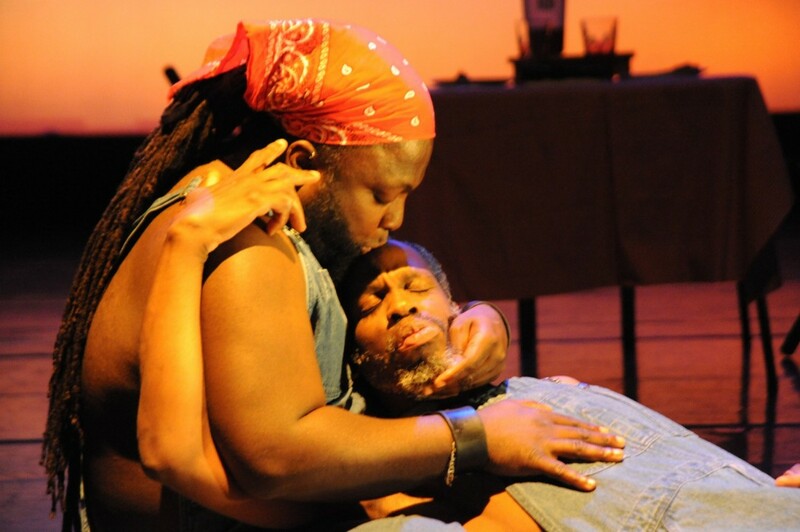 David Langstaff, intern at the Catalyst Project, interviews Leroy Moore and Patty Berne, co-founders of Sins Invalid, a disability justice based performance project focusing on the intersections of embodiment, disability and sexuality. Q: How does Sins Invalid’s emphasis on “disability justice” differ from a more mainstream organization that advocates for “disability rights”? PB: I want to say on the front end that the work of disability justice builds on the work that the disability rights movement has done, we wouldn’t be at a place where we could be discussing disability justice were it not for the gains of the disability rights movement in codifying rights for people with disabilities. At the same time, that movement left us with cliffhangers – (laughs) that’s the way I like to think about it. Disability justice contextualizes disability in multiple people’s lived experiences, in that disability is not a phenomenon that happens to “others” who then become “people with “disabilities”. People with disabilities are often thought about as a distinct “sector,” as though there aren’t people of color with disabilities, as though there aren’t queer people with disabilities, as though economic justice were not a disability issue, for example. We understand disability experience to cut across every way of being, and necessarily needs to be integrated into all social justice work – in the same way that you can’t organize workers without acknowledging the ways in which immigrant workers are particularly impacted by capitalism or by nationalism. Disability justice takes the dominant understanding of disability as both a medical issue and as a social marker, and shifts “disablement” into something that generates from the broader social body’s understanding of people who fall into a “non-normative” framework, and then contextualizes that shift within a social justice analysis. Q: Sins Invalid’s cultural work has been especially focused on challenging the normative paradigms of sexuality created by an ableist society, offering a vision of sexuality which honors the beautiful multiplicity of bodies and desires which ableism tries to erase. Why this emphasis on sexuality? LM: For one reason, sexuality is a really huge part of the human experience – it’s a part of all of our experiences – and because of the history of ableism in this country, sexuality isn’t really seen when you talk about people with disabilities, and that’s a totally sad situation. Sins Invalid really builds our performance art and our political education around sexuality, because many people with disabilities are prevented from expressing our sexuality in our daily lives, and it shouldn’t be that way. You know, there’s a huge amount of sexual violence against people with disabilities, the statistics are as high as 70% of people with disabilities are sexually assaulted before the age of 18 – so when we’re objectified and “othered”, when our bodies have been used against us, it’s a huge reclamation of ourselves to fully inhabit our bodies, including our sexualities. Self-determination over our sexualities is a cornerstone of self-determination over our bodies. Q: Can you tell us more about the recently released documentary, “Sins Invalid: An Unshamed Claim to Beauty in the Face of Invisibility”? Q: Most people know Sins Invalid through your cultural work, but you’ve also been engaged in leadership development, political education, and organizing for disability justice. Could you tell us a bit more about these areas of work? PB: We have a cultural work program – the film, the artists-in-residence program, the performance workshops, and the semi-annual performances – but we also have a movement-building component, where we work with different organizations to help build capacity around both understanding disability justice as a framework and also to develop practices of disability justice that are appropriate for them organizationally…to increase their capacity to deconstruct disability as a fixed concept, but also to have a deeper understanding of how a disability justice lens can open up aspects of their work that they may not have thought of before – in terms of their constituencies, in terms of their practices, in terms of their framing. Q: Looking back on your experiences, what advice might you give to a young, disabled artist or activist who is passionate about working towards disability justice? LM: I would say try to get grounded in who you are. I think, speaking for myself, that’s what led me to getting politically involved – strong self-knowledge, knowing that my body, my human rights, my culture, my history, my art, my writing, can have a voice and impact people beyond me, can create community…So be grounded in yourself, and be grounded in people that can push you. I think that’s another lack I see within the disability rights movement – that they want to feel comfortable, and comfortable, for me, doesn’t equal challenging yourself, really being open to what you don’t know, what you need to know. So, yeah, being comfortable in your own shoes lets you be grounded in people that can push you to where you couldn’t go alone. Leroy Moore Jr. is a Co-founder and Community Relations Director of Sins Invalid and the creator of Krip-Hop Nation, a network of Hip-Hop artists with disabilities and other disabled musicians from around the world. 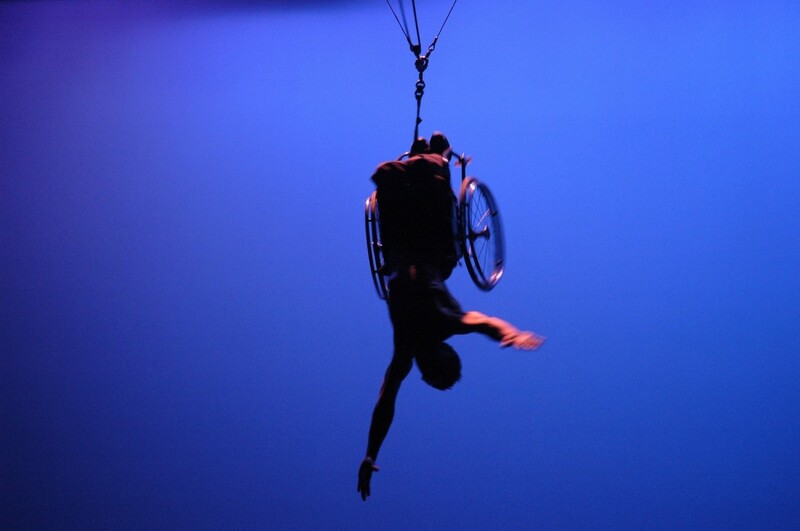 He shares his perspective on identity, race & disability for international audiences. Patty Berne is a Co-Founder and Director of Sins Invalid. Her background includes community organizing within the Haitian diaspora and advocating for LGBTQI community and disability rights perspectives within the field of reproductive and genetic technologies and offering mental health support to survivors of violence. Support the truth that all bodies and communities are valuable and beautiful! Host a screening of the Sins Invalid Film, (trailer link here), and full film available here.